Jalen Beeks – LHP Pawtucket Red Sox (Triple-A) – In his first five starts, Jalen Beeks has been dominant. He currently leads all Triple-A pitchers with 52 strikeouts and a 14.94 K/9. Beeks is the only pitcher with a sub-2.00 ERA (1.72), sub-1.00 WHIP (0.96), and 30+ strikeouts. As the No. 15 prospect in the Boston Red Sox organization, Beeks is likely the first man up if any trouble finds the Boston pitching staff. With a spot on the 40-man roster already in place, Beeks is expected to make the move up sooner rather than later. Trevor Stephan – RHP Tampa Tarpons (Single-A Adv.) – After a less than favorable Opening Day, Trevor Stephan has gone above and beyond on the mound with the Tarpons. After five starts, he currently sits on or near the top of the Florida State League starting pitcher leaderboards with a 1.85 ERA (5th), 0.79 WHIP (2nd), and 38 strikeouts (1st). Before the season began, Stephan was quoted in saying one of his goals was to finish 2018 on the Trenton Thunder roster (Yankees’ Double-A affiliate). As the Yankees’ No. 15 prospect, it’s only a matter of time for Stephan. Chad Spanberger – 1B Asheville Tourists (Single-A) – Spanberger’s reliability at the plate has cemented him in the middle of the Asheville lineup. Through 27 games, he has reached safely in 23 games and slashed .292/.318/.538. Nearly 40 percent of his hits have gone for extra bases and he’s also swiped seven bags, three times more than he had in his final season as a Razorback. In the South Atlantic League he is currently tied for first with 24 RBIs and tied for second with seven home runs. As the No. 25 prospect in an organization that currently has a utility man at first in Colorado, it isn’t out of the question to see Spanberger on the move before the end of 2018. 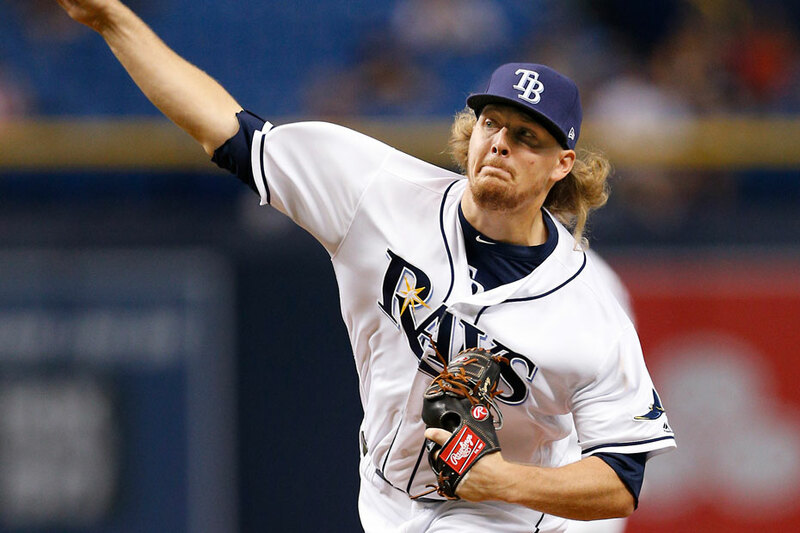 Ryne Stanek – RP Tampa Bay Rays (MLB) – Ryne Stanek was recently promoted from Triple-A Durham and has joined the Rays in Tampa this week. Through 10 games with Durham, Stanek posted a 1.86 ERA over 9.2 innings and struck out 17 while allowing just five hits. He took the mound for Tampa on Tuesday night and picked up right where he left off by striking out four over his 1.2 shutout innings in relief.